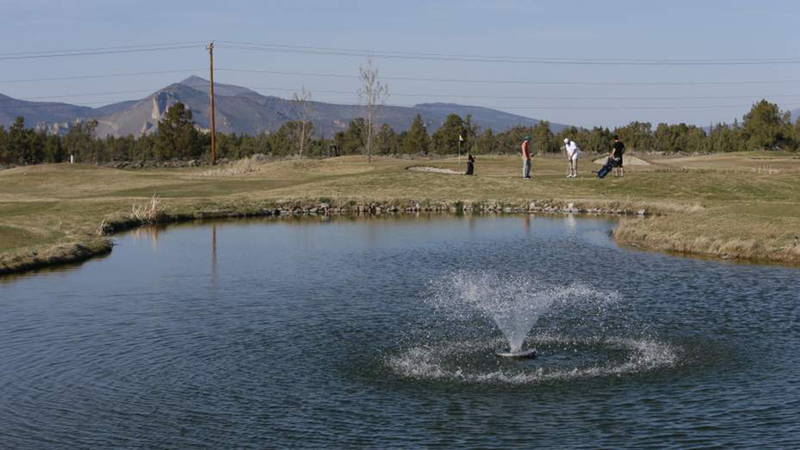 Smith Rock Golf Course & Driving Range situated at the north end of Redmond was designed by Sunriver golf superintendent Jim Ramey to practice and perfect your short game. A wonderful Par Three 9 hole course with a fantastic driving range, it also presents stunning views of Smith Rock, nearby bluffs and the Cascade mountains. The course is very appealing to seniors and families with children as well as advanced golfers looking to hone their short game. Annual course passes, driving range annual memberships, driving range basket cards, and Play Golf Cards are available. You can see the golf course rates online, visit the course Clubhouse or contact them for pricing outside of the published rates. You can also reserve the golf course, grounds or clubhouse for a tournament, company party, family get together, birthday, wedding, or any other special event. They offer beautiful settings to accommodate you, with an on-site event coordinator available to assist you with scheduling and planning. Open daily 10:00 a.m. – 6:00 p.m.